Our love of dresses is well documented. 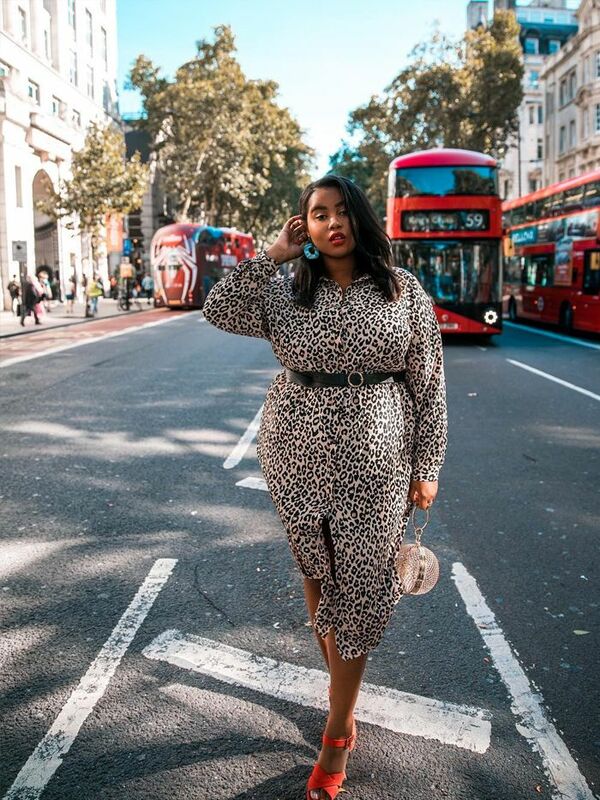 From the frocks that flatter every shape to the high street's hottest styles, we probably dedicate more article space to them than anything else. Why? Because they make life (read: getting ready in the morning) so much easier—just pop one on and go. However, now that the new season is officially upon us, the floaty dresses we've been sporting for the last few months are no match for the plummeting temperatures. Which is why we're turning our attention to jumper dresses. Once upon a time they were shapeless and scruffy-looking, but autumn/winter 2018 has seen the off-duty staple receive a serious gloss-over. So, it's not a case of should we be wearing them in public, but how should we be wearing them now? 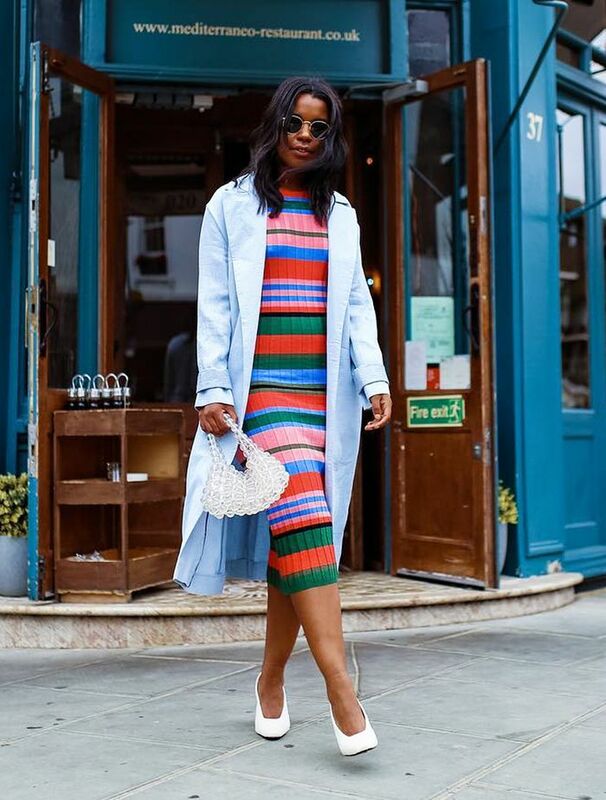 Style notes: Make a bright knitted dress even more impactful by pairing it with a coloured cover-up. Choose an accent shade from your dress to inform your choice then, simply pair with accessories and footwear in fresh white or tan. 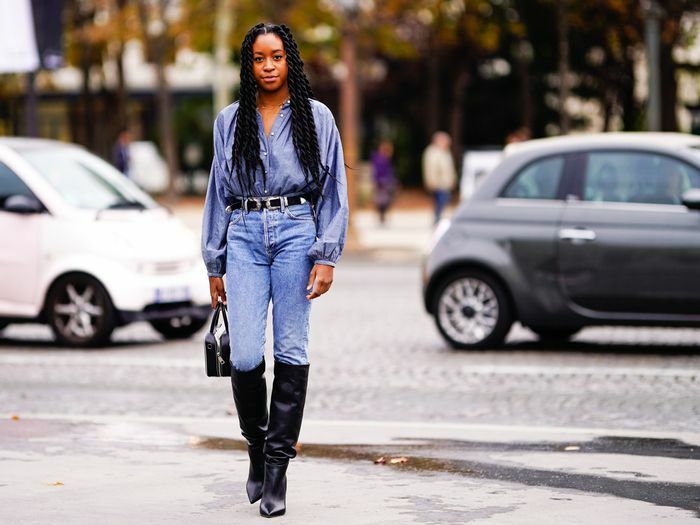 Style notes: The dresses over jeans trend isn't as daunting as it sounds. Look for a longer length frock so you only see a small section of jean to ensure the effect is sleek. Add heeled boots for height, and keep the rest of your ensemble paired back. Style notes: Get more wear out of your summer mini skirt by wearing them underneath shorter jumper dresses. Leave a playful ruffle on-show, and wear with, until the big freeze sets in, backless loafers to elongate your legs. Style notes: We've said it before and we'll say it again—dressing in the same shade top-to-toe is the perfect trick for ensuring any outfit looks polished. Make like Caroline Issa and layer your jumper dress over trousers, incorporating different textures like cord, satin and patent to give your attire dimension and contrast.